With unprecedented scope and consummate skill, Norman Mailer unfolds a rich and riveting epic of an American spy. Harry Hubbard is the son and godson of CIA legends. His journey to learn the secrets of his society-and his own past-takes him through the Bay of Pigs, the Cuban Missile Crisis, and the "momentous catastrophe" of the Kennedy assassination. All the while, Hubbard is haunted by women who were loved by both his godfather and President Kennedy. 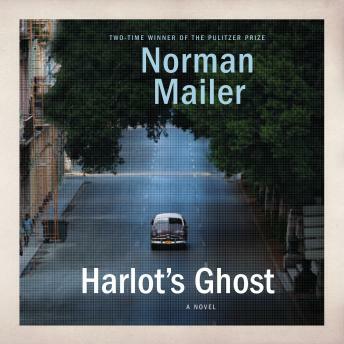 Featuring a tapestry of unforgettable characters both real and imagined, Harlot's Ghost is a panoramic achievement in the tradition of Tolstoy, Melville, and Balzac, a triumph of Mailer's literary prowess.